NOW WITH BUILT IN 160 GB HARD DRIVE AND 16 GB MICRO SD CARD SLOT! NOW WITH MORE OPTIONS THAN ANYTING ELSE IN THE MARKET PLACE! Now With Massive Options Including: Quad Slider System With Four Camera Plugs! Almost 30 Different Wired Camera Options! Two Types Of Wireless Senders For Cameras! 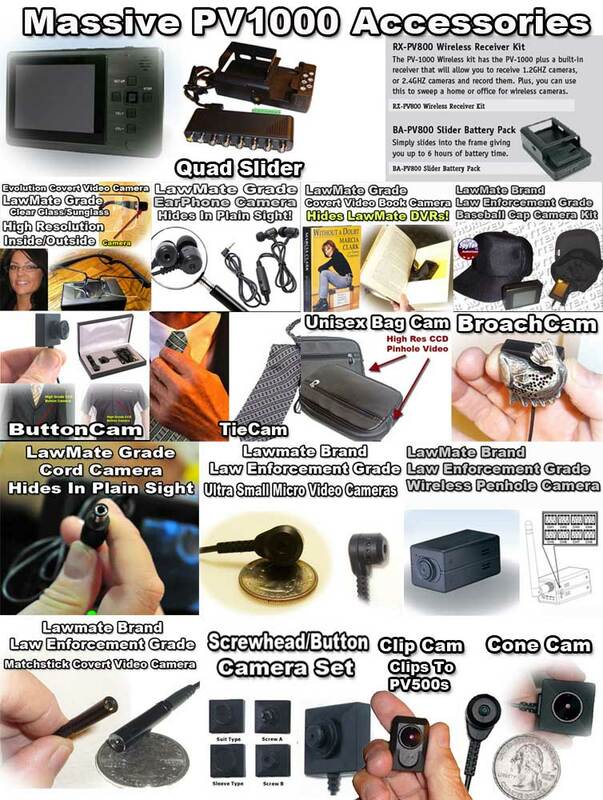 Pocket Digital Video Recorder With Massive Selection Of Walk Around Covert Video Cameras! 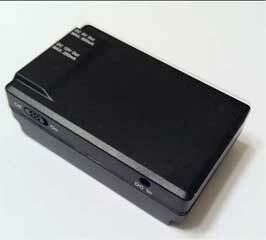 Stationary Covert Video Recorder With Massive Wired And Wireless Camera Options! Multiple Recording Modes- Motion Activation With Grid Knock-Outs! True Time And Date Stamping - Built From The Ground Up For Covert Video Operations! The new generation PV1000 is built from the ground up packing features needed for higher end covert video operations. 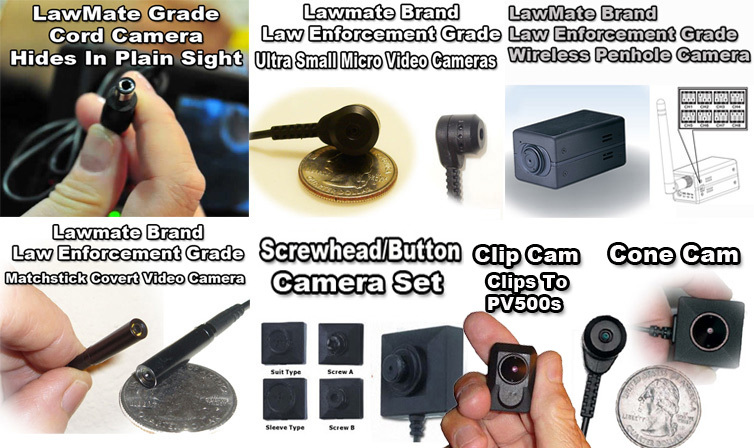 It can function as a pocket digital video recorder with a huge assortment of LawMate grade walk around covert video cameras or be placed in a stationary covert video operational function with other LawMate grade cameras that plug into it. Able to record up to 1024 X 960 super resolution (Standard 720p video quality) or other quality options in real time into a 160 GB hard Drive and SD card that suports up to 32 GB. 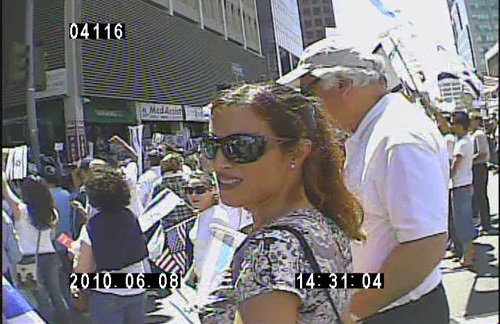 When you record to the SD card, it's easy to segment your video evidence onto different cards. If you need to go to a different operation, just remove one SD card for storage and insert another one. Having additional power sources for cameras is now a thing of the past. The PV1000 from LawMate features dual outputs in both DC5V ad DC12V which powers almost all CCD cameras you wish to plug into this LawMate invention. You can get the maximum amount of covert video and get is the way you want it with the video parameter range settings. Measured between quality and capacity factors and by adjusting the variety of parameter settings such as video resolution, video frame rate or video bit rate etc settings, you remain in total control. There are many special features designed especially for Law Enforcement and agency administration such as multiple password settings, operational log reports, sole unit ID overlay functions, ect. 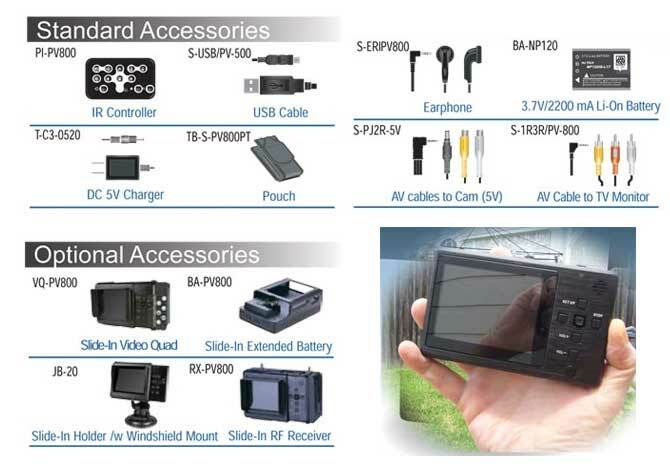 You can set your PV1000 in various recording modes such as Standard mode, motion detection mode, scheduled/pre-event mode.Not only does the PV1000 operate as a super high quality walk around video pocket recorder, you can also use it for stationary covertly video operations. Watermarked with a counter indication on each frame! 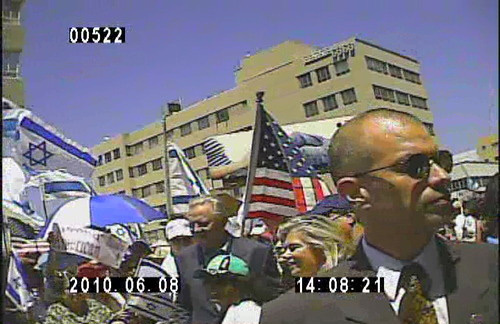 The recorded video files is tamper proof, a solid evidence for law enforcement and legal investigation use. 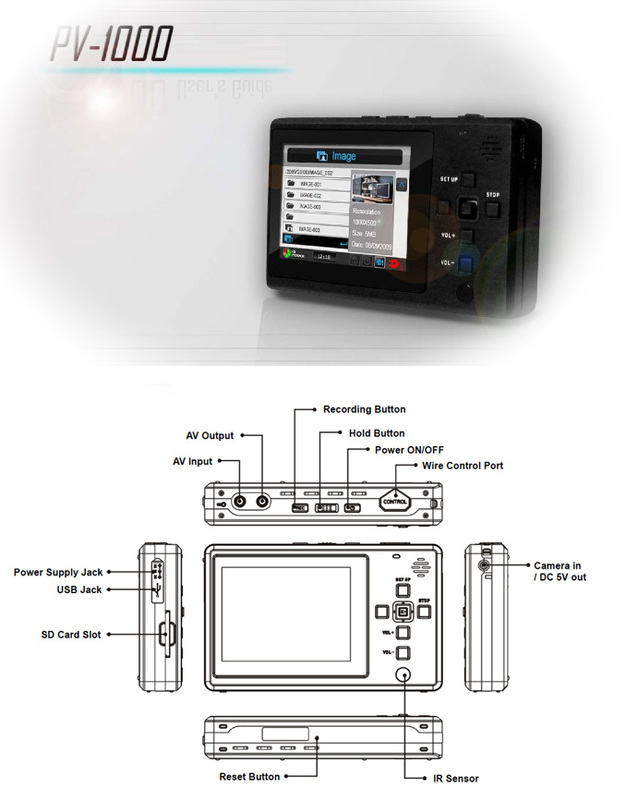 Designed for you to achieve your covert surveillance evidence gathering tasks seamlessly under the most crucial conditions with the most popular ASF video format output so you can review, play and if needed edit in any computer. Various optional accessories to pick from depending on the demands such as remote controller, extended long durable battery pack, slide-in video quad and full range RF receivers. 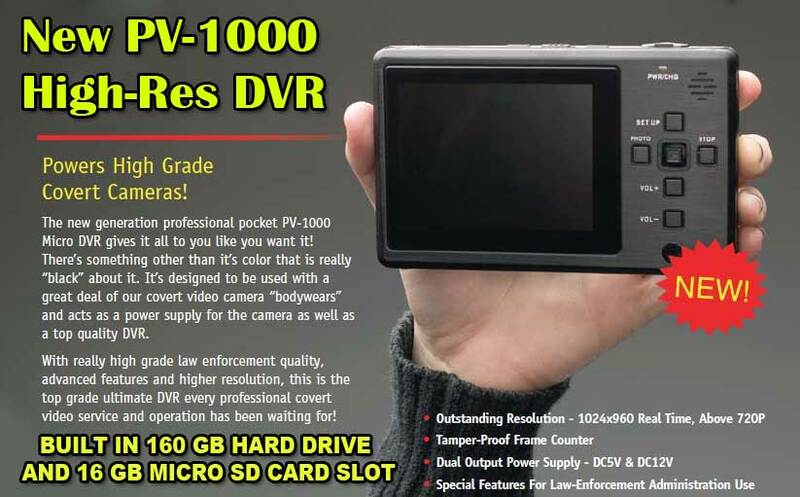 • Micro Sized: 5" x 3" x 3/4"
The new generation professional pocket PV-1000 Micro DVR gives it all to you like you want it! There's something other than it's color that is really "black" about it. It's designed to be used with a great deal of our covert video camera "bodywears" and acts as a power supply for the camera as well as a top quality DVR. Not only that, PI Black is small enough to fit into a standard cigarette pack! Our Walk Around Covert Video Button cameras, Baseball Cap Camera , Law Enforcement Grade Earphone Wired CCD Covert Camera , Broach Camera, Tie Camera, Bag Camera, Earphone MP3 Camera, Mini Micro Camera , The ClipCam ,The New High Resolution CCD Eyeglass/Sunglass Camera, The High Resolution Bullet Type Camera ,The New Walk-Around Book Camera Hiding The DVR ,High Resolution CCD Bullet Tactical Camera , High Resolution Tactical Helmet CCD Camera , and the High Resolution CCD Podium Cam (PV500 Will Hide In Base) all plug right into this amazing unit for amazing no camera-battery needed operations! Power for the camera is supplied by the PV-1000 recorder making a very professional and compact system. 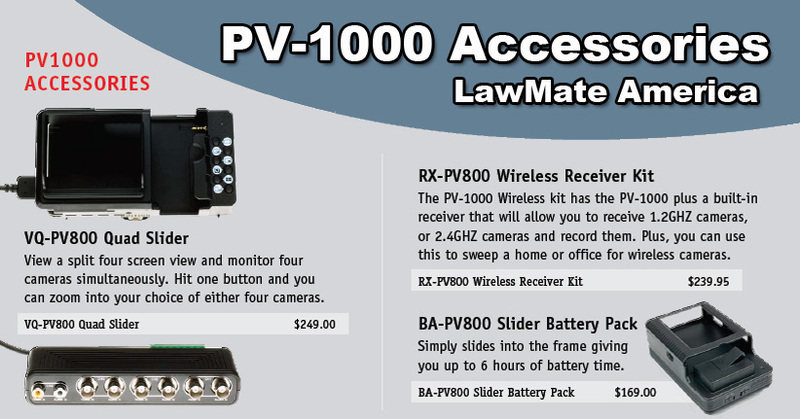 The PV1000 from LawMate now includes a built in 160 GB hard drive. Now With A Built In 160 GB Hard Drive.! Criminals And Cheaters Caught On Tape!